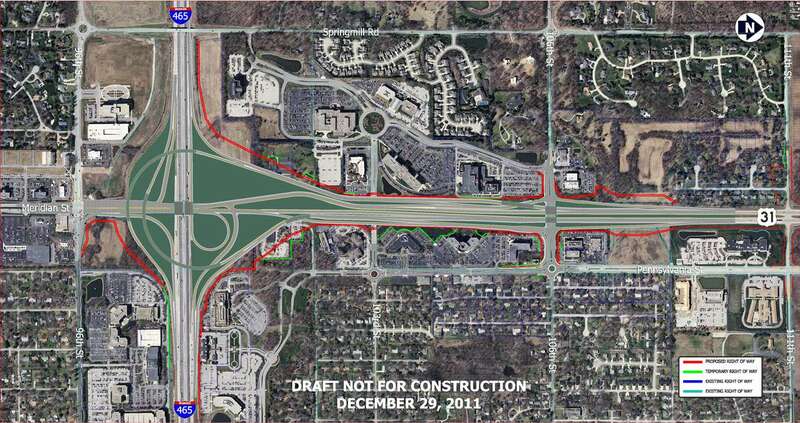 In 2012, Carmel saw a large number of roadway redevelopments and new construction, most notably the completion of the 146th Street and Keystone Parkway interchange. In 2013 and beyond, Carmel will continue to see major improvements to its roadways. More roundabouts, overpasses, road extensions and new intersections are all planned to begin construction in the coming months and years. With 146th Street and the intersections of U.S. 31 and Keystone Parkway complete, INDOT is now moving onto the next portion of Major Moves, the statewide project responsible for much of the roadway redesign and redevelopment along U.S. 31. Carmel residents shopping north of 146th Street in the extremely congested area of Village Park and Greyhound Plaza will see a massive amount of change in 2013. The intersection at U.S. 31 and Greyhound Pass will be replaced with a combination of on-ramps and off-ramps, allowing northbound and southbound U.S. 31 traffic to continue through the area unrestricted. 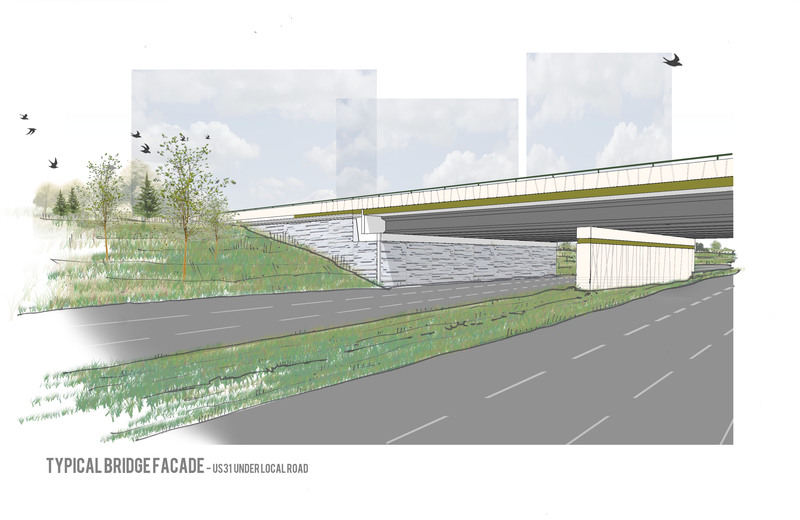 The intersection of 151st Street and U.S. 31 will remain but will be reworked to feature on-ramps and off-ramps with U.S. 31 continuing unrestricted as part of an underpass. The intersection will still allow traffic across U.S. 31 as part of an overpass, something that will not be possible at the reworked portions of Greyhound Pass. While Major Moves will continue its progress during the next several years, the City of Carmel also has a number of road improvements planned throughout 2013. The most notable improvements, the addition of several roundabouts and the extension of Illinois Street, are slated to begin as early as May. 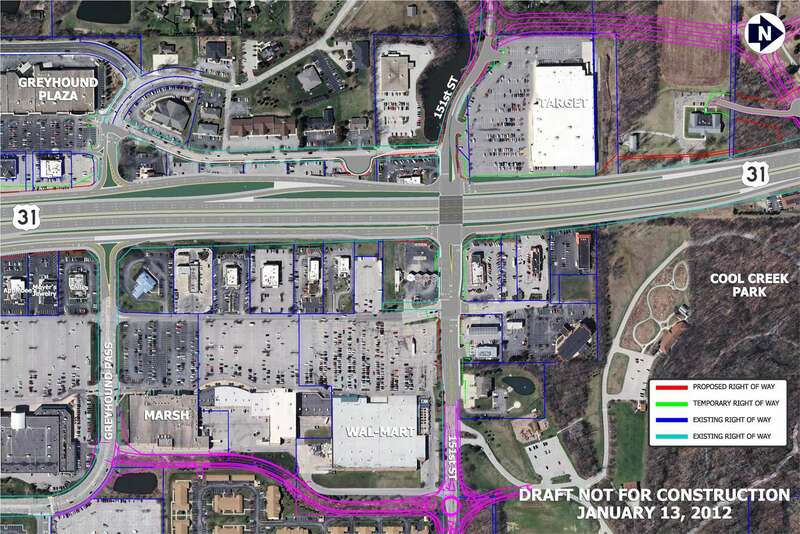 Tentatively set to begin in June, Illinois Street will be extended from its existing end south of 116th Street down through the street’s intersection with Springmill Road north of I-465. Roundabouts will be installed at Illinois Street’s new intersections with 111th and 106th streets. At this point, Illinois Street is separated into three portions: 136th Street to 116th Street, 106th Street to 103rd Street and 86th Street continuing south through Indianapolis. As part of the Major Moves initiative, INDOT and the Indiana Dept. of Natural Resources are continuing plans originally laid out in 2006 to place every Hamilton County resident within 15 minutes of a pedestrian trail by 2016. Walkways and bike paths will be installed at the intersections of U.S. 31 and 106th Street, 116th Street, 126th Street, 131st Street, 136th Street, 146th Street and 151st Street. The pathways also will be connected to established walkways and bike paths including the Monon and Midland Trace trails. For more information on Major Moves and the new U.S. 31, visit www.US31hamiltoncounty.in.gov. For more information on the City of Carmel’s construction projects throughout the year, visit www.tinyurl.com/carmelcon.